Dementia Alliance International (DAI) and Alzheimer’s Disease International (ADI) are calling for action to protect the rights of people with dementia under the UN Convention for the Rights of Persons with Disabilities (CRPD). ADI Chairman Glenn Rees spoke alongside Professor Peter Mittler, member and Human Rights Adviser to DAI, at a side session to the 16th Session of the CRPD Committee and the 10th Anniversary of the Convention today in Geneva. I am speaking to you today as a person living with dementia and as Human Rights Adviser to Dementia Alliance International. DAI is the global voice OF people with dementia. Since we were founded in 2014, we have been joined by over 2000 members in 37 countries, all with a diagnosis of one of the many types of dementia. I am one of the majority with a diagnosis of Alzheimer’s Disease. But we are all unique individuals and we object as a matter of principle to being defined and socially disenfranchised by our diagnosis. That is our daily experience. 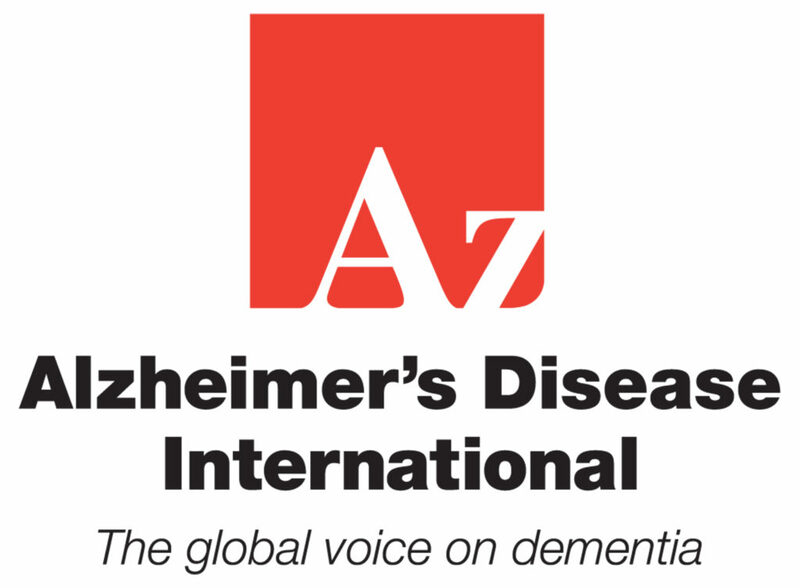 DAI works in close but autonomous partnership with Alzheimer’s Disease International: the global voice FOR people with dementia. Its Chair Glenn Rees is our Chair today. Marc Wortmann is ADI’s Executive Director. Kate Swaffer, DAI’s Chair, CEO and Co-Founder, is an ADI Board Member. She sends her apologies for not being able to be here today. She was elected for what she brings to the Board from the whole of her experience: not as the token person with dementia whose views may be listened to politely but count for nothing when decisions are made. Tokenism is just one of the obstacles we face in our day to day lives in our own communities. It was not tokenism when Robert Martin, a New Zealander with an intellectual disability was elected to the CRPD Committee by UN Member States in the year in which they are celebrating their 10th anniversary. How many years will it take for a person with dementia to become a member of the Committee? Most of the people I work with in DAI say that advocacy has given them a new purpose in life. Dr Jennifer Bute from the UK calls her blog: A Glorious Opportunity. Some of us are fortunate enough to be able to say that we live well with dementia but we know that this is not the experience of the majority. 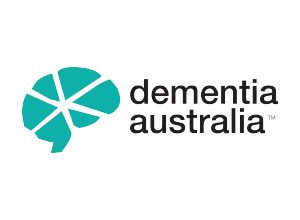 DAI’s first mission statement includes a commitment to reduce the stigma, isolation and discrimination around dementia, and to claim our human rights. At ADI’s international conference in April 2016, the leaders of 38 national Alzheimer Associations committed to a human rights based policy and full access to CRPD. That’s why we are here together today. This year we have contributed to the General Day of Discussion on Article 19. At the Conference of States Parties in June we were strongly supported by the International Disability Alliance when our Board Member Professor Mary Radnofsky intervened to great effect in interactive debates. Kate Swaffer was also present at the first WHO Dementia Stakeholders Consultation in Geneva in July. In September we will have a video poster presence at the World Community Based Rehabilitation Conference in Kuala Lumpur where we are campaigning for the extension of CBR to Older Persons. We plan to be present at the Social Forum in October and are also active in Europe with the support of Alzheimer Europe. Our numbers are increasing week by week. We run weekly support groups for people in different regions and regular webinars led by world leaders in dementia research, policy and practice. We are publishing suggestions for ways in which Dementia-Friendly Communities could involve people who have lived in that community as contributing citizens- for example, by being involved in the planning of DFCs. We argue that researchers need to consider the experience of people with dementia as data, on the same basis as data from randomised controlled drug trials. The flyer on your seats[i] provides a reference to four books and 23 chapters of an edited book, all written or told by people with dementia from a wide range of backgrounds. “Dementia receives the worst care in the developed world”. That is the conclusion of the Organisation for Economic Cooperation and Development[ii], based on an exhaustive study of the world’s 38 richest countries. It is also a human rights issue because it is not about dementia but about people living with dementia. When we object to being described as sufferers, it is because we suffer most from the way we are treated by society and from the poor quality of services available. Like everyone on the planet, our fundamental rights were laid down in the 1948 Universal Declaration of Human Rights and in subsequent international Human Rights Treaties. Although 166 Member States and the European Union have ratified CRPD, there is no evidence that we are being included in its implementation by our governments. Furthermore, CRPD Principles and Articles are not reflected in two regional and many national dementia strategies launched as a result of the G7 and G8 Summits. The International Disability Alliance lobbied successfully for the inclusion of disability indicators in the monitoring of the 2030 Sustainable Development Goals. But people living with dementia are at great risk of being Left Behind in the SDGs because there is a pervasive assumption that dementia is the sole responsibility of Health ministries, rather than the inter-sectoral responsibility of all Ministries, including Housing, Transport, Social Care and Protection. These would enable us to have access to the whole range of supports, services and amenities available to persons with disabilities recommended in CRPD. Since the 1981 International Year of Disabled Persons the UN has been recommending a Focal Point for Disability in the office of the Prime Minister or Head of State. This has proved to be very effective in many countries: South Africa was one of the first under President Mandela. This is more than ever necessary in the wider context of the 2030 Sustainable Development Goals. Our current priority is better diagnosis, followed by a rehabilitation pathway to support us in continuing as active members of our local communities. The majority of people in Low and Middle Income Countries never receive a diagnosis. In High Income Countries it depends on where you live because there are substantial variations in and between neighbouring health authorities. 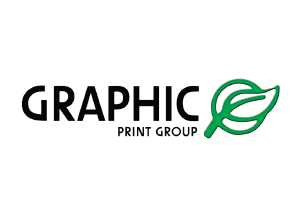 We also know from frequent reports in the social media that the way in which diagnosis is given ranges from exemplary to the good, the bad and the unacceptable ugly. A book by the late Dr Richard Taylor[iii] – like me, a former clinical psychologist – has examples of good and bad practice in communicating a diagnosis under the heading “If I were an M – instead of a Ph.D.” This should be glued to the desk of all clinicians charged with this difficult responsibility. Moving from diagnosis to so-called post-diagnostic support: I would like to ask each of you to think for a moment about the services you might expect to receive if you sustained a severe brain injury, say in a car crash, from a penetrating gunshot wound or a severe brain infection such as meningitis. While you are still in hospital but no longer under intensive care, you might be seen by a range of professionals. Their aim is to begin the process of enabling you to return to the maximum extent possible to the way you lived before the brain injury. We are arguing for the medical concept of ‘post-diagnostic support’ to be re-conceptualised as a rehabilitation pathway. This would begin at the time of diagnosis with the offer of a follow-up visit to the hospital or memory clinic where the diagnosis has been given. The follow-up would provide opportunities to ask questions and raise concerns with a clinician. This is the kind of support given in many countries when a baby has been born with a congenital impairment such as Down’s Syndrome. It focuses on the baby as well as the parents. For people with dementia, a trained key worker needs to be appointed very soon after diagnosis to establish contact with the care couple; to discuss needs and priorities and to provide links to necessary services & supports from all relevant services and the community. A social worker – to consider family issues and provide access to community resources. Community-based rehabilitation programmes are now being used in some 90 Low and Middle Income Countries. They provide a home-based, first line of support to persons with disabilities and their families from local health and community workers. The most recent revision of the CBR Training Manuals was co-written with Disabled Persons’ Organisations and draws on CRPD Principles and Articles to inform policy and practice[v]. CRPD has also been used to underpin the WHO 2014-2021 Global Disability Action Plan[vi]. People with dementia need to be part of that commitment. We ask the CRPD Committee to use the full resources of the UN family to monitor the extent to which persons living with dementia are included in the implementation of the Convention by Member States. We also ask the Committee to promote the rights of persons with dementia in the wider context of the UN 2030 Sustainable Development Goals. *The Independent Expert on Older Persons and work towards a future Convention on the Rights of Older Persons. We wish every success to the new Committee and look forward to the 17th Session. [ii] OECD (2015) Dementia: the OECD Response. Paris: Organisation for Economic Cooperation and Development. [iii] Taylor, R. (2007, reprinted 2015) Alzheimer’s from the Inside Out. Baltimore, Md. Health Professions Press. [v] WHO, UNESCO, ILO & IDDC (2010) Community Based CBR Guidelines: Introductory Booklet. Geneva: WHO. Previous PostWebinar reminder: Rehabilitation and Dementia (24/25 August)Next PostOne. It Can Be Everything, by Mary L. Radnofsky, Ph.D.